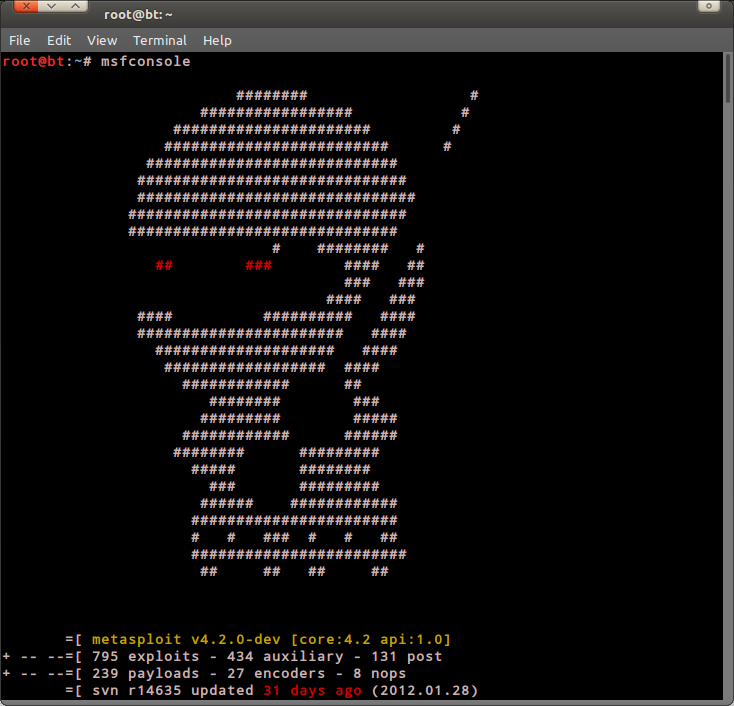 Metasploit is a powerfull framework to do an exploitation. There are a lot of thing we can do with it. Exploits, Payloads, Encoders, and Auxiliaries are ready to be used to do an exploitation. In this post I'll explain a little about metasploit auxiliary and how to use it. 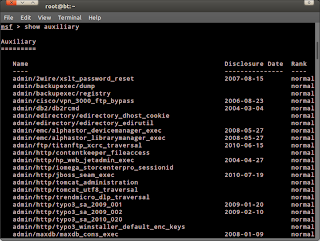 Auxiliary is a set of tools developed to perform reconnaissance like scanning, sniffing, fingerprinting and the other security tasks. With this auxiliary, we can use metasploit to do the earlier hacking framework without other tools, just metasploit and its auxiliary and the other modules, this will make our security tasks far more easier. 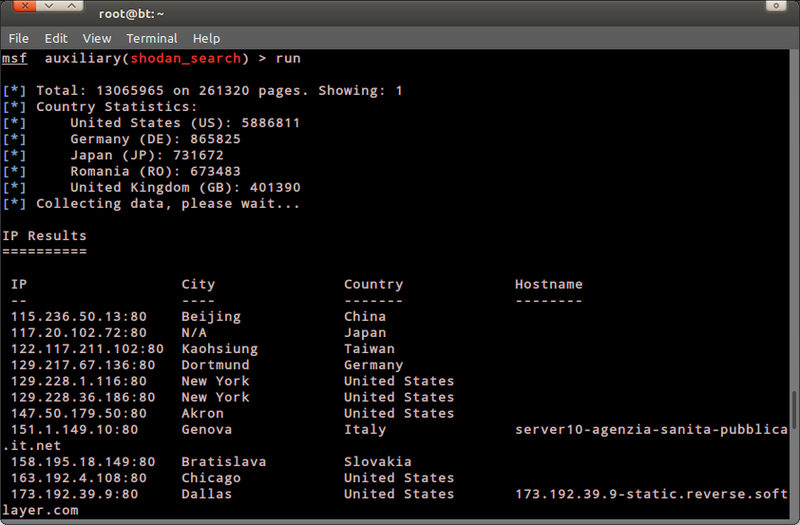 So, here's an example the use of an auxiliary..
- In this post I'll use the famous search engine for pentester that is Shodan. 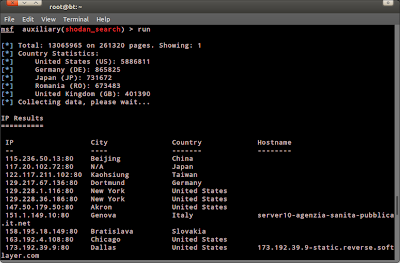 It is located at auxliary/gather/shodan_search. - Next, use show options command to see what parameters needed by the auxiliary to run. - Ok, lets search for servers that use Apache. Set apache in the querry. - Next we must set the API Keys, API Keys is unique for each account, you can get your Shodan API Keys here. Don't forget to sign up first. - Next, just type 'run' to execute it. 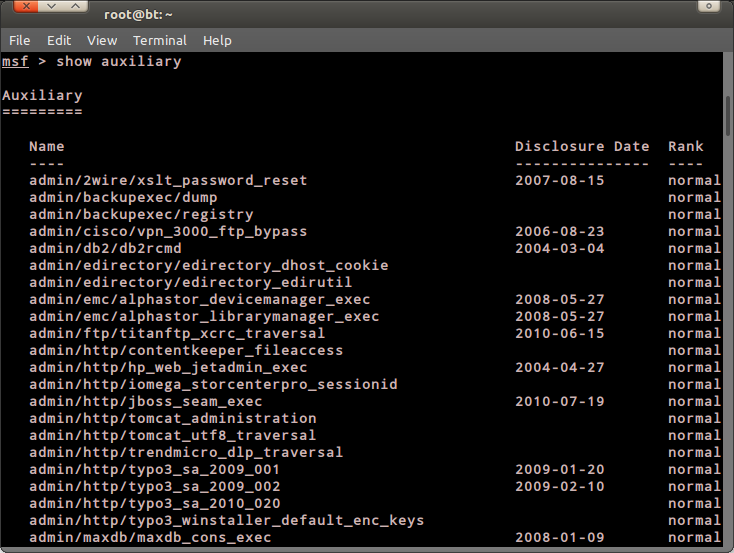 There you are, a list of ip address that use apache for its webserver.